The International Military Music Festival “Spasskaya Tower” takes place at Moscow's Red Square on Sept. 1–8, 2013. 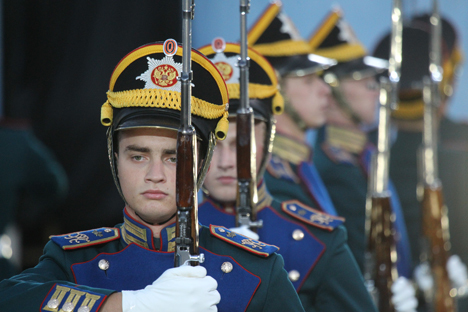 The units of the State Honor Guards and the leading Russian and foreign military bands traditionally participate in the festival. RBTH asked conductors of the orchestras taking part in the festival to talk about their plans and hopes.